Hope, persistence, a fluke, fame, a fade, a comeback. Hmm, the trajectory of this Contours biography sounds much gauzier than the Contours themselves! Their musical formula didn't wow Berry Gordy, who shooed them away for much, much later. The Contours were already two degrees away from Motown through Johnson's cousin and Gordy's friend, Jackie Wilson. If anyone knew about high-energy singing and dancing, it was he. So when Wilson threw his support behind the Contours, they got all 12 of their feet in Hitsville's door that same day in 1961. Physical tumbles might have been okay, part of their acts. Commercial tumbles were not. Unfortunately, the first Contours single, "Whole Lotta Woman," represented the latter. Wilson had to prop them up again before Gordy agreed not to kick them off his label. The group could now sweat over its warm-ups at local clubs instead of its future at Motown. That future was pretty much assured when the Temptations either went missing or missed the desired tone for a particular song, which Gordy then brought to another particular male group. 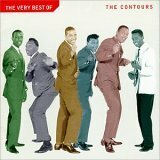 The Contours asked, "Do You Love Me" in 1962. The nation answered with speedy #1 R&B and #3 pop rankings. And so the roller coaster began. The highs? The boisterous, crowd-pleasing shows. Hits like "Shake Sherrie," "Can You Jerk Like Me," "First I Look at the Purse," and "Just a Little Misunderstanding." (Take a gander at the group's discography.) The lows? Well, indirectly, the highs of other, smoother Motown singers like the Temptations, Four Tops, and Supremes. As those poppier R&B artists gained fame, Contours music and performances seemed a little too unruly, a little out of place in respectable venues. Also, the highs of drugs brought eventual crashes and personnel changes. Joe Stubbs (brother of Four Tops lead Levi) and Dennis Edwards (future lead of the Temptations) manned the foremost microphones in the mid-1960s. It's almost painful for this Contours biography to cite the ballad, "It's So Hard Being a Loser," their last notable hit. The next year, 1968, the group effectively ended its run of originals. It was already filing its songs under "Motown oldies" during the 1970s. The next decade paired woe with euphoria again. On July 11, 1981, Hubert Johnson killed himself with poison--a devastating reminder that the Contours' happiest days were long gone. Yet just six years later, Contours nostalgia possessed the country thanks to the movie, Dirty Dancing. "Do You Love Me," redux, sold even more than the initial recording had! Death has caught up to more Contours members, specifically Joe Stubbs in 1998 and Huey Davis on February 23, 2002. But not before Sylvester Potts, Joe Billingslea, and new members kept their Motown legacy alive. Singing decades-old songs and dancing with decades-old bodies must get somewhat tiresome! Even their 1990 Motorcity album was called Running in Circles. Still, the Contours will always be about invigorating doses of R&B. In their prime, they weren't afraid to really shake it--and everything else--down in the name of ear-rattling, eye-popping fun. Want just a little more of Motown, post-Contours biography? Get a load of these bios on the homepage!